Ozone hut built. See pictures. Taken in third year of IGYE, during handover to FIDS Base Z. More pictures by Derek Ward: 1957 and 1958. 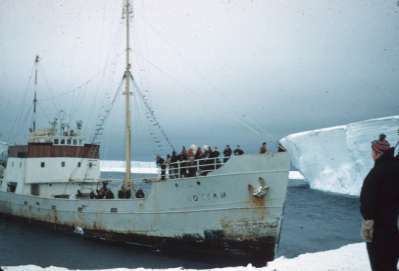 The main IGY party leaving Halley Bay in January 1959. More pictures by John Smith. 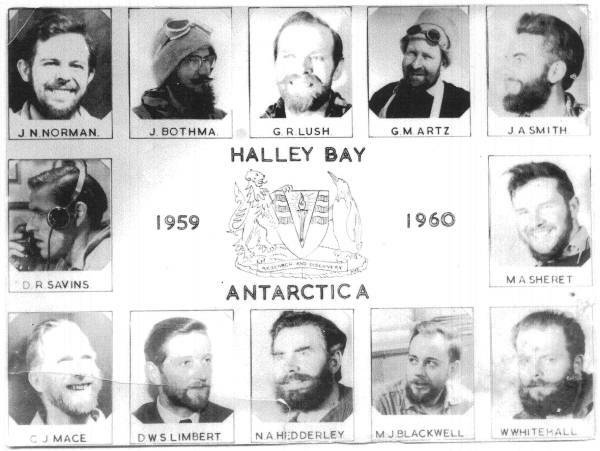 The handover of the base from the Royal Society Expedition to FIDS took place at midnight 13/14 January 1959. 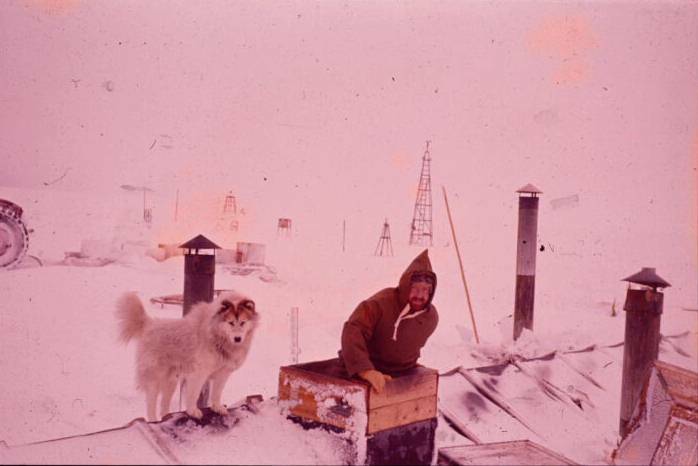 Mick Blackwell describes the International Geophysical Cooperation (IGC) at Halley Bay in 1959, and how he got involved.